I only just discovered this last night, a sad story. From the WAIKATO INDEPENDENT, 2 MAY 1949. Does anyone now more or have a photo of this Tiger Moth? 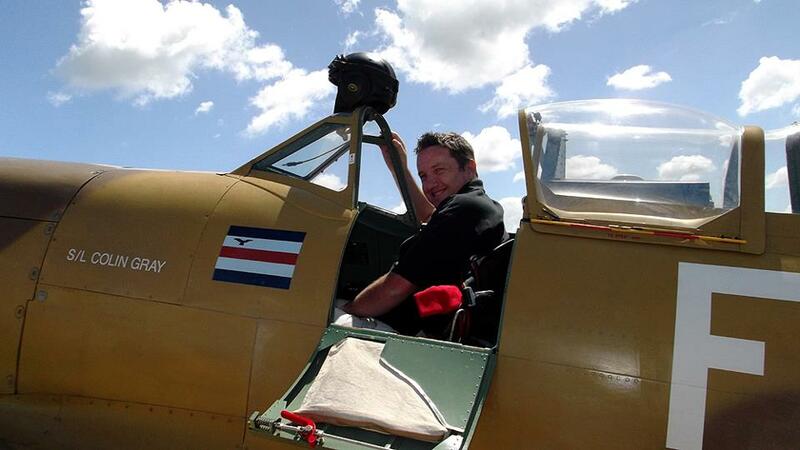 In spite of a wide search, no trace has been found of the Tiger Moth aircraft ZK—AIS piloted by Mr James Innes Taylor, of Cambridge, which went missing from Mangere on Thursday afternoon. The missing plane was last seen definitely when it took off from Mangere at about 4.40 p.m. on Thursday, and flew off in a south-westerly direction. The extensive search over the week-end was mainly in a southerly direction, and today the area to the north will be covered. Mr Taylor is a member of the well-known Cambridge family, being the son of Mr and the late Mrs Innes Taylor, of 30 Queen Street. He is a grand-son of the late Mr James Taylor, of "Bardowie". His sisters are Mrs St J. Wells, of Manurewa and Mrs J. R. Ranstead, of Cambridge. He was born at Pukeroro, and educated at the Cambridge District High School. On gaining his matriculation, he attended the Auckland University College, but for health reasons he was forced to give up his studies. He spent the past three months in Cambridge and during that time he learned to fly at Rukuhia, gaining his "A" license recently. For the past two weeks, Mr Taylor had been working at Penrose, coming to Cambridge each week-end for the meets of the Waikato Hunt. He is a very keen horseman. There is still no trace of the Tiger Moth aircraft, ZK—AIS, which has been missing from Mangere since Thursday, April 28. The pilot was Mr James Innes Taylor, aged 20, the son of Mr Innes Taylor, of Cambridge. The search, which has been maintained continuously, is being continued today. An inquest into the death of James Innes Taylor, son of Mr I. Taylor, of Cambridge,, aged 20, the. pilot of a Tiger Moth aircraft which did not return from a flight from Mangere on the afternoon of April 28, was held before Mr A. Addison, coroner, in Auckland on Wednesday. Harry Morrison, formerly a mechanic in the R.N.Z.A.F., whose farm overlooks the Manukau Bar, said he noticed a Tiger Moth about 1200 ft. up on the evening of April 28. The weather was rough over the bar, but inland it was move settled. He wondered at the time wily the pilot was heading into the rough weather when he could have gone inland. Robert Prentice, chief flying instructor of the Auckland Aero Club at Mangere Aerodrome, identified a strut found on the west coast, and a portion of a propeller, found about two miles north of the Kariotahi Gap, as being parts of a plane similar to the missing aircraft. He said the aircraft flown by Taylor was in perfect running order and had been serviced before he took it over. It had sufficient fuel for a three-hour flight. The aircraft was last seen flying away from the aerodrome at 4.45 p.m. The coroner’s finding was that Taylor died on or about April 28 in the vicinity of the west coast between Waiuku and Manukau Heads, there being insufficient cause to show the manner or actual cause of his death. Chapter 35 in Chris Rudge's book "Missing!" Thanks Brett, I still need to find a copy of that book.